You all needed a bigger screen with more options in it. Yanado was disappearing because it was dependent on the Gmail central content section, which Google keeps changing way too often. Instead of having Yanado inside the central content area, where you had to scroll up to see the Yanado bar if you were at the bottom of the email list, you can see its interface all the time, wherever you are. We removed Yanado from the central content section of the Gmail and attached it to the header, just below the Google logo. 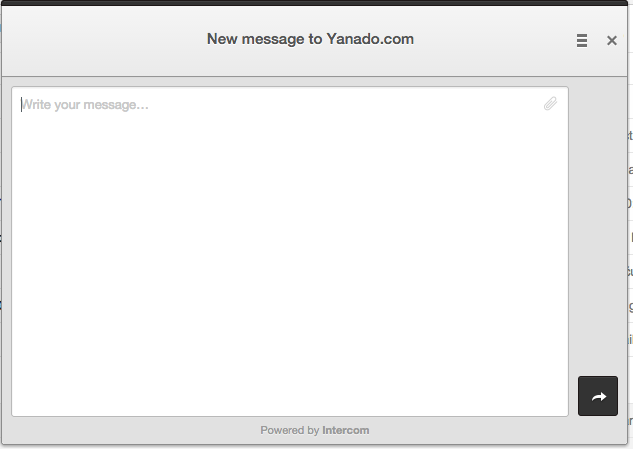 Now, when you expand Yanado, it covers the entire Gmail interface and gives you the full screen view. The benefits of the full screen view will be shows soon when we introduce new tasks view options, such as group per deadline, per tag, status etc. Please let us know what you think about this improvement. It’s super important for us to make you happy. In order to do that, we need your feedback. Another great feature is the option to contact us and give us your feedback. In the Yanado bar you can see a question mark. When you click on it, a pop-up will appear, and from there, you can start a conversation with us. You can send us your feedback, complaint or a joke. What ever makes you happy that day. Also, we will be able to send you messages and notifications through that same pop-up, so you can always look back at our past discussions. It’s better than email, right? If not, please let us know. These days, we’re working on Yanado user interface a lot, so if there’s anything you want to to share with us, please do so – this will be the perfect time to receive requests, advices & critiques. For the most active users we will have surprises soon! Task Statuses, Group By and Card View are Now Available In Yanado!